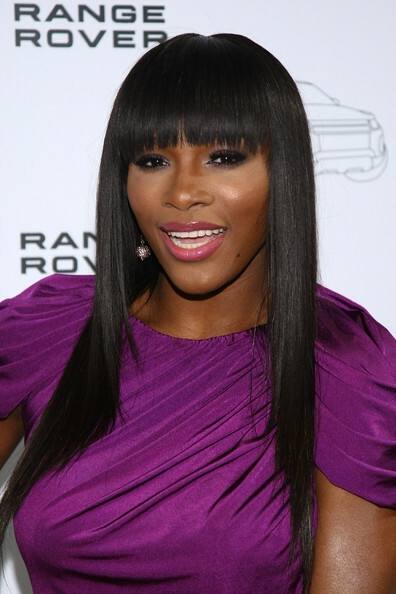 Serena Williams was on hand at the NYC launch of the 2012 Range Rover Evoque at Highline States on April 19, 2011 in New York City. *Serena Williams apparently has another passion besides tennis and fashion. The athlete is looking to launch a career as a rapper, according to TMZ. She reportedly visited the studio of Minnesota Vikings player Bryant McKinnie’s record label last week to collaborate with hip-hop producer DJ Clue. The 29-year-old Miami Dolphins co-owner has recently been photographed in training – in some rather interesting outfits – for a return to competitive play for the first time since suffering a a pulmonary embolism, for which she had to undergo emergency surgery in March. I’m going into the studio next! And I sing so badly that my shower walls bleed but if all these non singing idiots can do it, so can I! People need to stick with what they know. Really. Her “fashion career” – ridiculous. Stick to the court, Serena. LOL!!! I will not get started on all of the cannot sing for squat cupcakes but I agree with you.